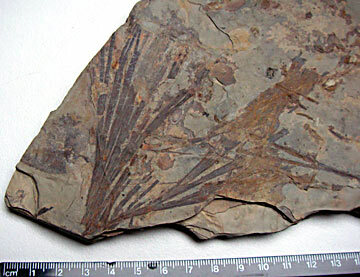 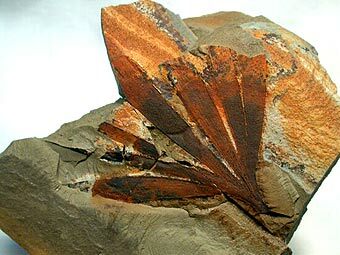 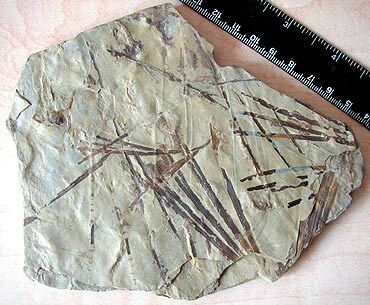 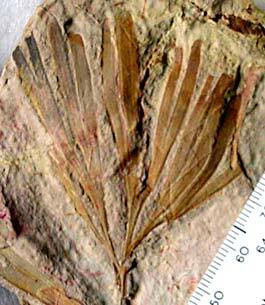 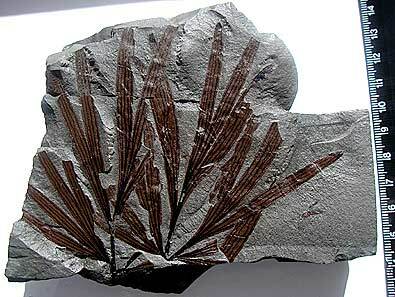 from Carole T. Gee, Plants in Mesozoic Time . 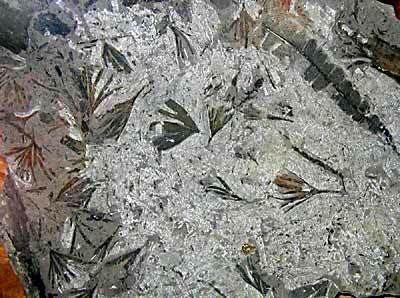 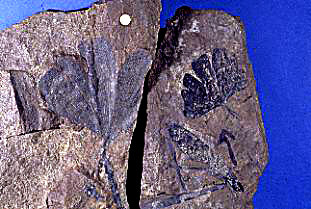 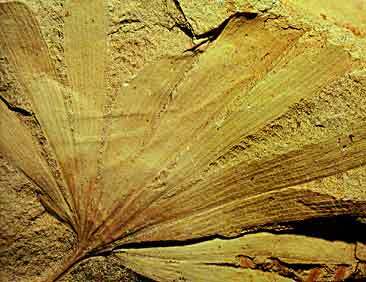 Ginkgo and ferns fossils, Upper Jurassic. 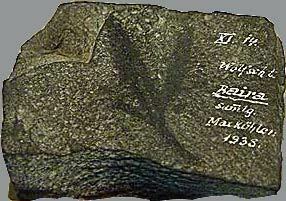 Hameln/Hannover). 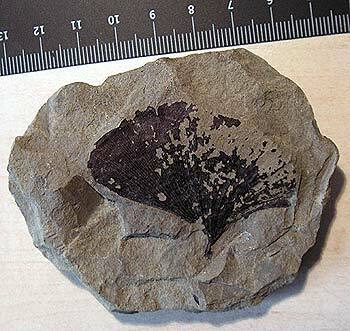 The specimen is from a quarry nearby. 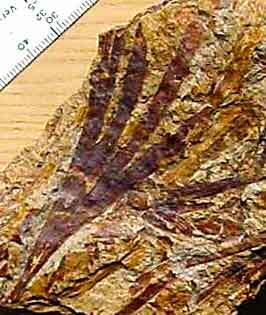 Length of the part shown in the picture is about 30 cm. 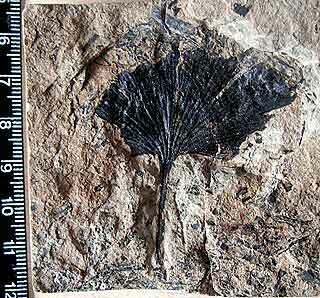 scientific staff member Smithsonian Institution. 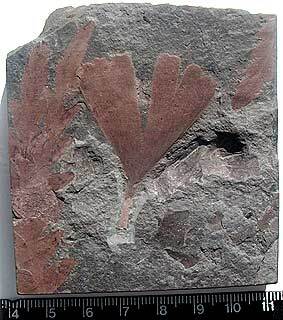 The Jurassic Flora, vol.1 The Yorkshire Coast. 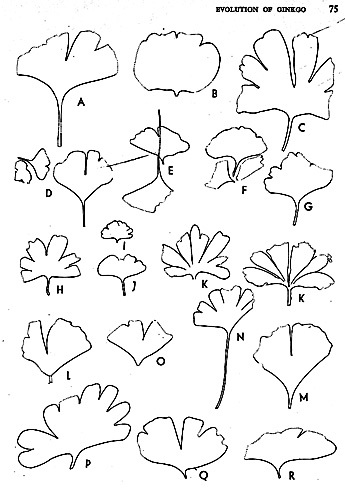 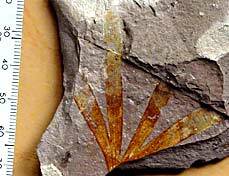 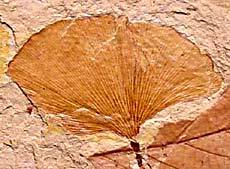 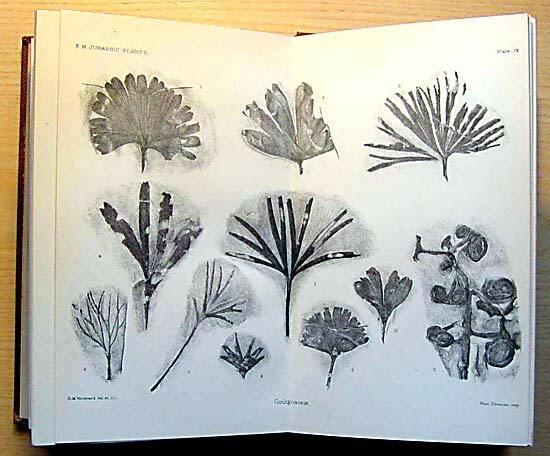 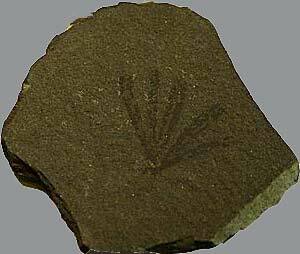 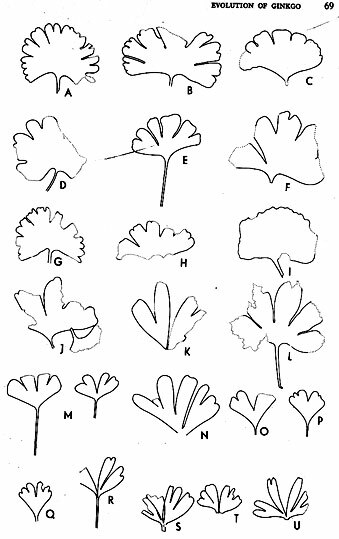 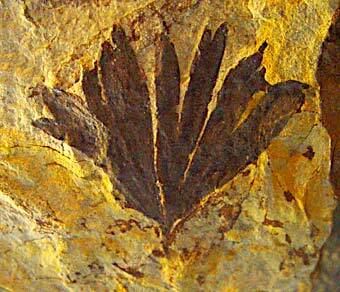 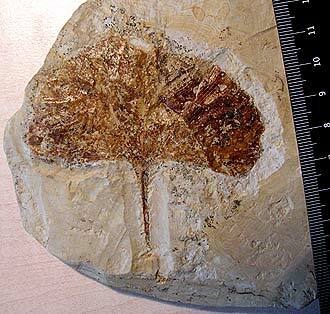 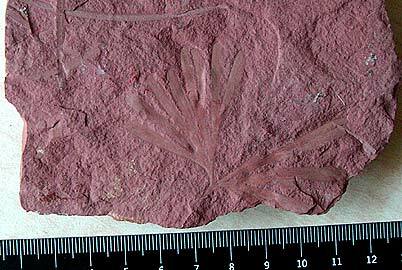 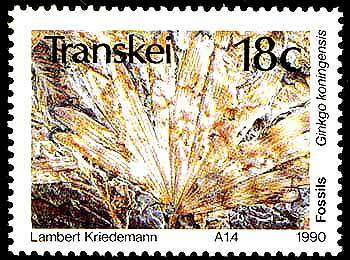 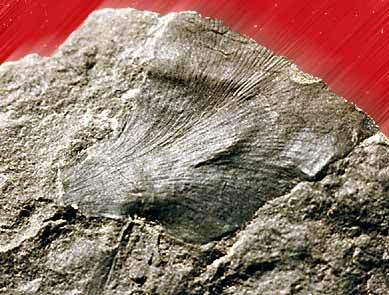 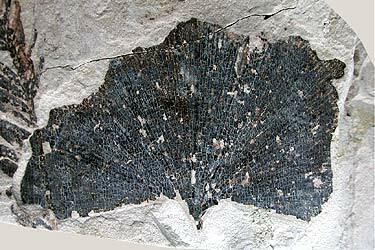 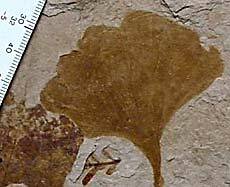 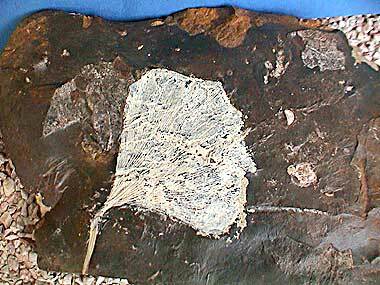 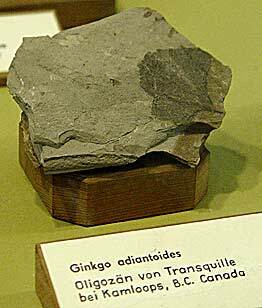 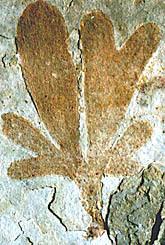 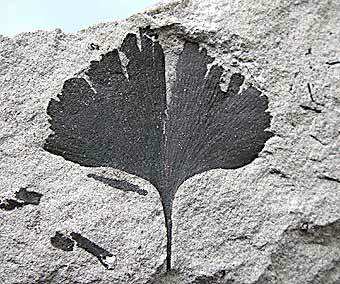 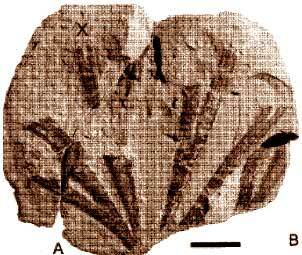 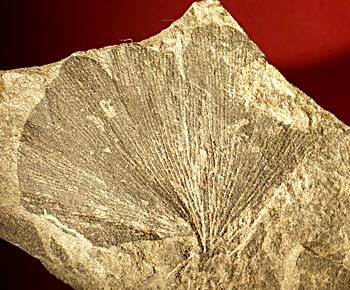 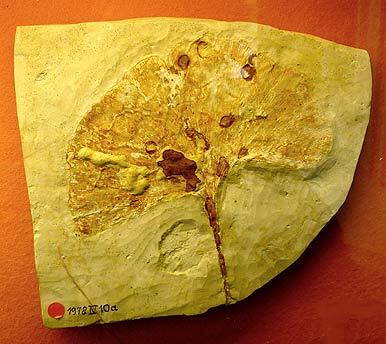 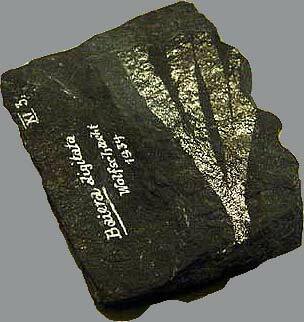 The only Ginkgo fossil stamp ever issued - from Transkei: Ginkgo koningensis. 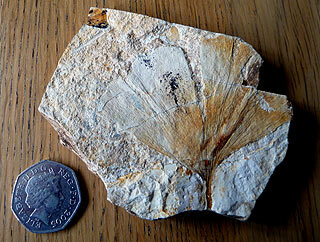 More information on my Fossils-page.